So another event is over and what a weekend it was. We had more teams than ever before, all taking part in a spectacular competition at Sherwood Pines Forest Park. Teams arrived on what turned out to be the hottest day of the year so far - putting up their tents in the sunshine as they prepared for the event. Routes were being planned and strategies compiled as more than 300 Explorers and Network members prepared for this unique competition. Then at 8 O'clock they were off. Six hours of gathering points in the darkness. 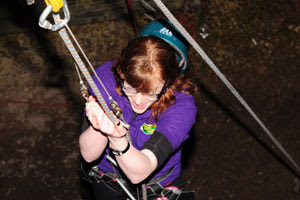 Challenges included our longest ever inflatable assault course, moonlit mountain biking, dramatic bridge climbs and a return of the infamous Delve of Doom. By the time teams started returning tiredness was kicking in but still teams showed great skills, determination and teamwork as they tried to get those crucial last-minute points. Full details from the event including results and hundreds of photos are now online! Tell us below what you thought of the event!